HTC One X has 1.5 GHz Quad Core processor with NVIDIA Tegra 3, 4.7-inch Corning Gorilla Glass, 1GB of RAM, 32 GB of Internal Memory and 8 MP dual shutter camera. HTC One X powered by Android 4.0 Ice Cream Sandwich and also comes with NFC capabilities and 25 GB of Dropbox access. HTC One V has 1 GHz Single-Core processor, 3.7-inch WVGA display, 512 MB of RAM, 4 GB of Internal Memory and 5 MP rear camera with 720p HD video recording. HTC One V powered by Android 4.0 Ice Cream Sandwich and comes with 25 GB of Dropbox storage for 2 years. 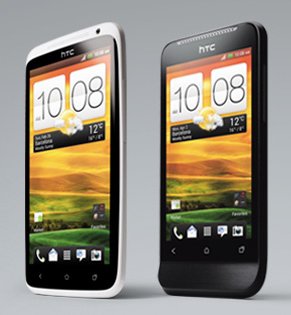 HTC One X and HTC One V will be available from April 2 2012.